Decades ago, a teenaged Dan Severn traveled to the USSR to compete in what was supposed to be an under-17s amateur wrestling tournament. Instead, he found himself in a brutal, virtually no-holds-barred brawl with a grown man. Fightography: Dan Severn Mar 30, 2015 (7:45) Almost 40 years ago, a teenaged Daniel Severn traveled to the USSR to represent America in what was supposed to be an under-18s amateur wrestling tournament. Instead, he found himself in a brutal, virtually no-holds-barred brawl with a grown man. Experiences like that prepared Severn for a career as an MMA pioneer. 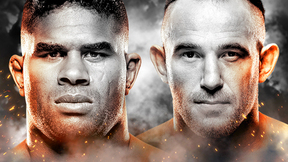 In this Fightography, the legendary wrestler from Coldwater, Michigan, talks about his classic showdown with Royce Gracie, and how different the last two decades could have been had he truly unleashed “the Beast” that night in 1994. Dan Severn vs Anthony Macias UFC 4 Dec 16, 1994 (7:24) In both their MMA/UFC debuts, former 2x All-American wrestler from Arizona State University and, eventual, UFC Hall of Famer Dan Severn faced the Oklahoma crowd’s hometown hero Anthony “Mad Dog” Macias. Dan Severn vs Marcus Bossett UFC 4 Dec 16, 1994 (5:42) After an impressive debut victory in the quarters, Dan “The Beast” Severn was set to clash with Steve Jennum, but he withdrew due to exhaustion. Instead, Severn met Marcus Bossett, a blackbelt in Shorin Ryu karate, who won by KO in an alternate bout. Royce Gracie vs Dan Severn UFC 4 Dec 16, 1994 (21:34) Royce Gracie and Dan Severn met in the final match of UFC 4 to determine the tournament champion. Gracie was in his 3rd final in 4 tournaments, but Severn, in his debut tournament, hoped to spoil Royce's attempt at the triple crown. 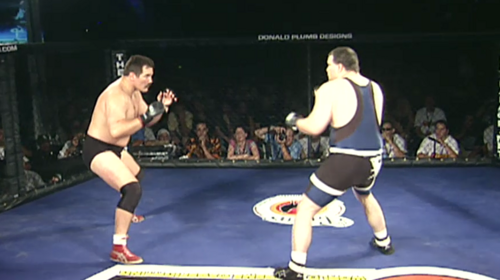 Dan Severn vs Joe Charles UFC 5 Apr 7, 1995 (4:30) Two-time American collegiate wrestler, Dan Severn takes on fellow martial artist Joe Charles at UFC 5: Return of the Beast. Dan Severn vs Oleg Taktarov UFC 5 Apr 7, 1995 (8:24) Dan "The Beast" Severn fighting out of Coldwater, Michigan will fight Oleg Taktarov, Russian sambo and judo artist, for a spot in the finals of the UFC 5. 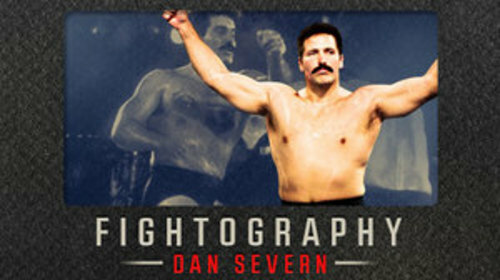 Dan Severn vs Dave Beneteau UFC 5 Apr 7, 1995 (6:40) Dan Severn and Dave Beneteau square to see who will be champion at UFC® 5. Ken Shamrock vs Dan Severn UFC 6 Jul 14, 1995 (14:25) In the first “Superfight Championship” to determine the UFC champion for tournament winners to face, Ken Shamrock met Dan Severn in a battle between two powerful wrestlers with submission skills. Dan Severn vs. Paul Varelans UFC 7.5 Dec 16, 1995 (3:38) Coming off a disappointing loss to be crowned the first UFC Champion, wrestling threat Dan “The Beast” Severn entered the latest tournament with a Herculean task ahead of him with the 6’8” trapfighting Paul Varelans who was a UFC 7 tournament finalist. Dan Severn vs. Tank Abbott UFC 7.5 Dec 16, 1995 (22:09) A real clash of cultures in this semifinals bout, decorated collegiate wrestler Dan “The Beast” Severn took to the cage to meet barroom brawler David “Tank” Abbott. Obviously, Severn wanted to wrestle and Abbott wanted to punch Severn in the mustache. Dan Severn vs. Oleg Taktarov UFC 7.5 Dec 16, 1995 (34:05) Ultimate Ultimate 1995’s tournament final was, actually, a rematch of a bout from 8 months earlier, Dan “The Beast” Severn tangled with Oleg “The Russian Bear” Taktarov as both had their sights set on being named UFC tournament champ for the 2nd time. Dan Severn vs Ken Shamrock UFC 9 May 17, 1996 (41:40) In a rematch of the first UFC Superfight Championship bout, “The World’s Most Dangerous Man” Ken Shamrock looked to defend his belt for the 3rd time against Dan “The Beast” Severn who wanted the title and some revenge. Mark Coleman vs Dan Severn UFC 12 Feb 7, 1997 (13:00) In the night’s main event, the UFC Superfight Championship and UFC tournament championship would be unified to become the UFC Heavyweight Champion as two imposing forces clashed as Dan “The Beast” Severn faced Mark “The Hammer” Coleman. 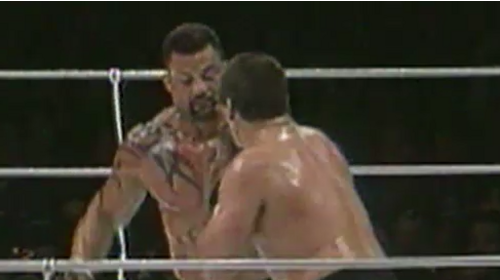 Kimo Leopoldo vs. Dan Severn PRIDE 1 Oct 11, 1997 (32:56) Octagon veterans on hot streaks collide as former UFC superfight champion Dan “The Beast” Severn who was unbeaten in his last 7 fights entered the PRIDE ring to rumble with the tattooed monster Kimo Leopoldo was riding a career high 4 fight win streak. Dan Severn vs Travis Fulton WEC 1 Jun 30, 2001 (18:23) The first WEC main event! Former 2x UFC tournament winner Dan “The Beast” Severn with his wild 45-6-3 pro record was set to tangle with the absurdly-experienced Travis “The Ironman” Fulton who owned a 95-30-8 pro record and was on an 11 fight win streak.